"We are incredibly grateful that so many in the mortgage industry have decided to help end youth homelessness. We can do this!" 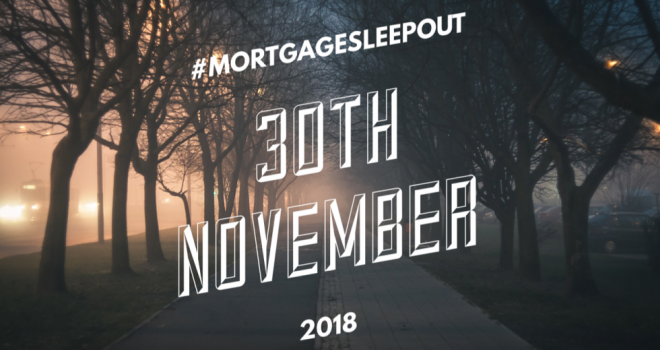 Mortgage Sleep Out has confirmed locations for open events in Manchester and London on Friday 30th of November. The Manchester Sleep Out will take place at the Assetz Capital office in South West Manchester and will include participants from Sirius Manchester, NatWest Commercial, Roma Finance, Easier Finances and Assetz Capital. An open London event has been confirmed at a venue in Enfield. Both events are open to new participants who have yet to arrange their own event. For more details and register to part in the Manchester event, please contact Adele Turton, director at Sirius Property Finance on adele.turton@siriusfinance.co.uk. Anyone wishing to take part in the London event can contact Laura Hammond, director at Also Communications, on laura@alsocomms.com. Mortgage professionals from Ipswich-based firm Link Mortgage Services will also be taking part in one of 100 regional events next Friday to raise money for the charity End Youth Homelessness. If you would like to be part of the industry movement to eradicate homelessness, you can register now and receive your guide on how to arrange a Sleep Out at www.mortgagesleepout.com or donate to the main Just Giving page at www.justgiving.com/campaign/mortgagesleepout. Adele Turton said: “Homelessness is on the rise every year and this is a great cause, which I’m very proud to be part of it. We agreed to organising a Sleep Out in August and now ‘winter is coming’, it really brings it home just how difficult homelessness must be. Damien Druce, director at Assetz Capital, commented: “Supporting this noble cause is a no brainer given the plight of homeless people in our country’s towns and cities, and its year-on-year rise. What better time of the year to do this; when the suffering of the homeless is compounded by shorter days and much colder weather often with unpredictable extremities. To add to this, whilst rough sleepers are seeking out safe places to stay, those more fortunate are Christmas shopping or out revelling with colleagues. Ally Kassam, director at Easier Finances, said: “When I saw this initiative in the trade press, there was no pause - I signed up straight away. Spending my days helping people buy their home, then seeing homelessness on the streets has always sat uneasily with me.